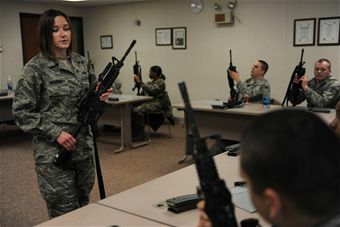 During the Korean War, several incidents occurred which called attention to the small arms training provided to Air Force personnel. The most significant was the tragedy at Kimpo Air Base, Korea, which was overrun by a numerically superior Chinese communist force. 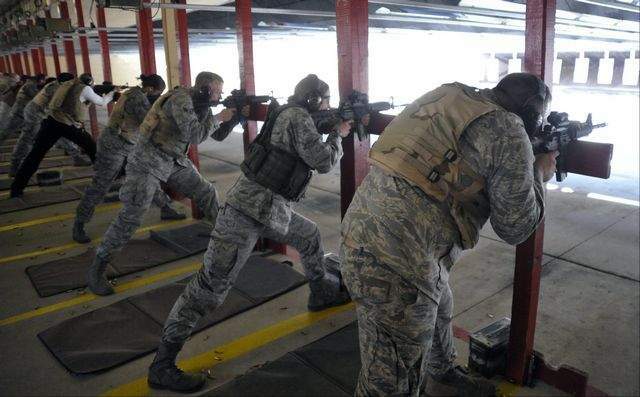 The Air Police Squadron was so overwhelmed that they were forced to fight a rear guard action before being annihilated. 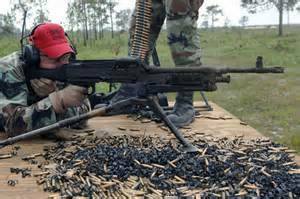 The general base population was then easily defeated before reinforcements arrived to drive the enemy back. The remaining personnel found alive by the Chinese were hung in the main hangar on Kimpo. 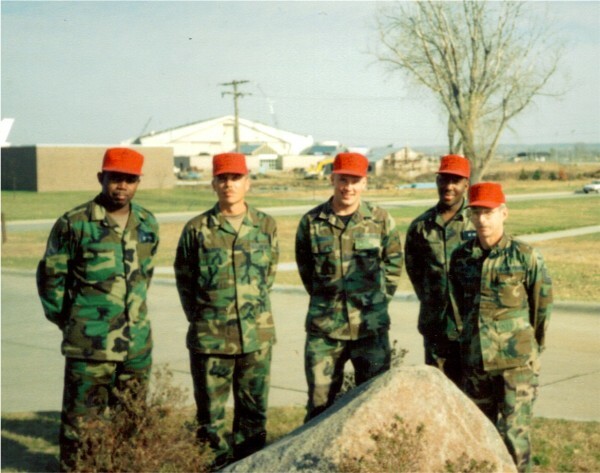 This hangar still stands today as a memorial to those who died without a chance to fight. 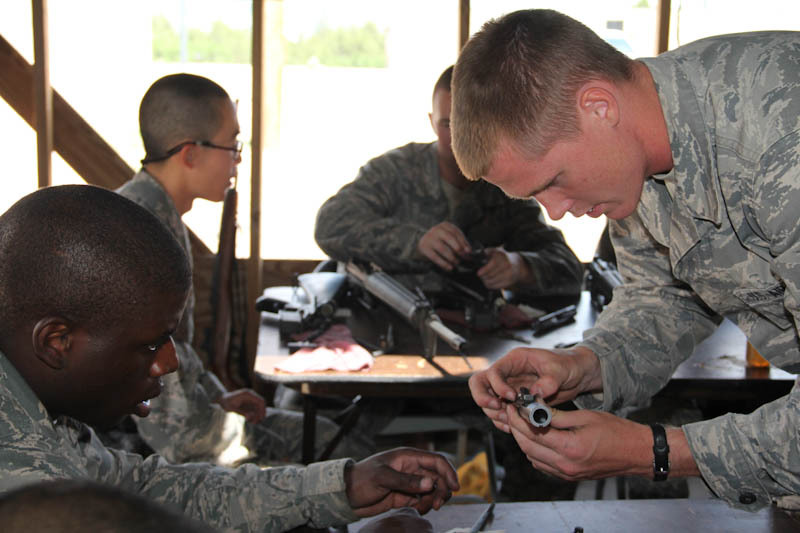 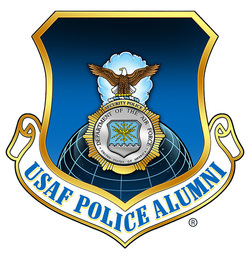 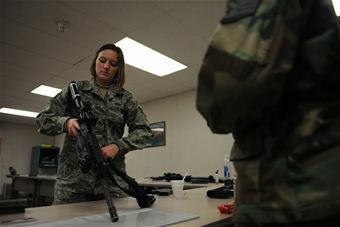 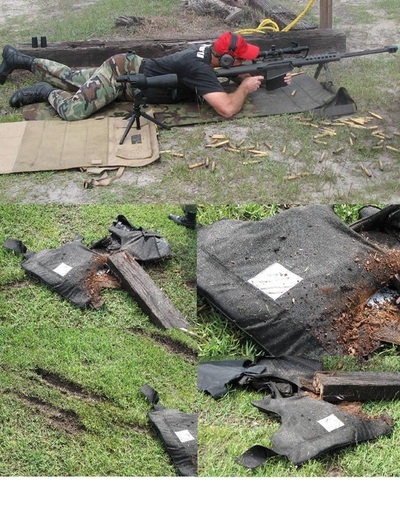 The resulting investigation revealed serious deficiencies in the way small arms training was perceived and carried out in the Air Force. 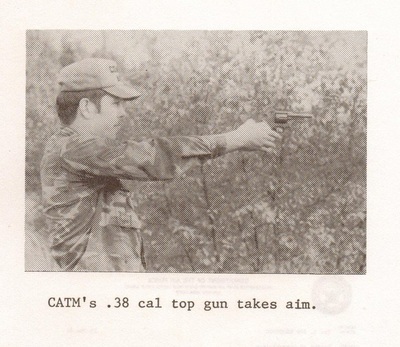 Prior to the Korean War, no formal program of weapons training existed. 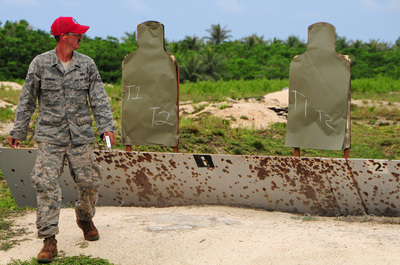 One result was the inability of the majority of personnel at Kimpo to successfully defend themselves and the base. 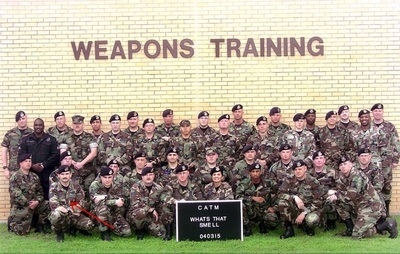 The majority of the base weapons were inoperable due to lack of maintenance. 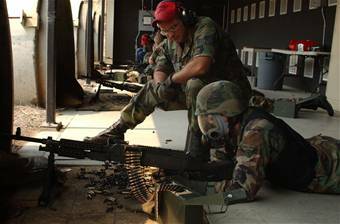 The few serviceable ones were of little use as personnel were not trained in their use, unable to even load or aim them. 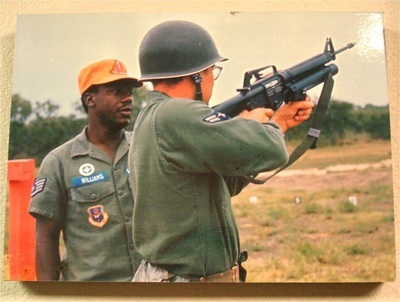 Only the Air Police were routinely trained in marksmanship and maintenance of small arms. 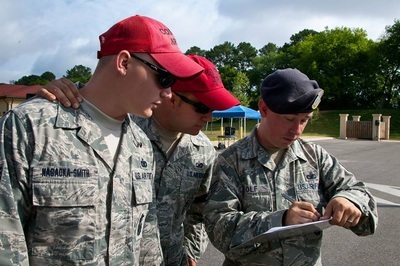 The experience of the Korean War encouraged General Curtis LeMay to change the way weapons training was conducted in the Air Force. 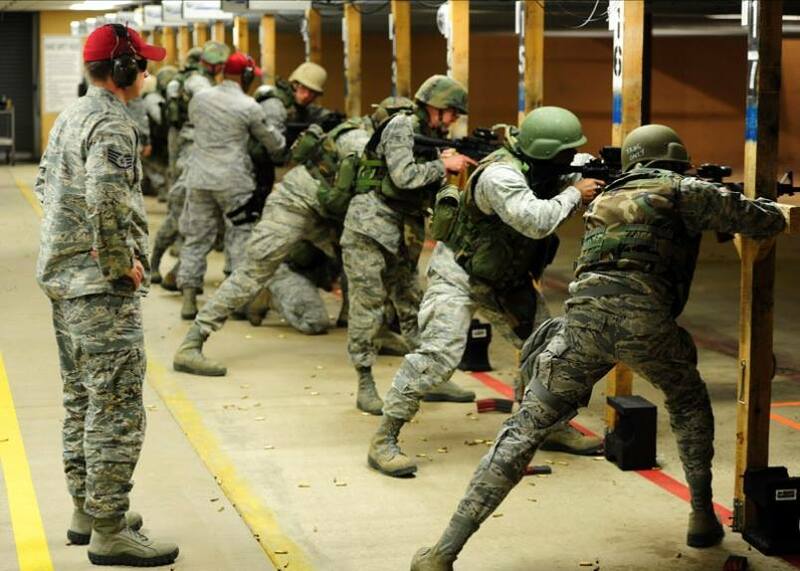 In 1958, the USAF selected 25 experienced competitive shooters to become the initial instructor cadre of the USAF Marksmanship Center located at Lackland AFB, TX, where it remains active today. 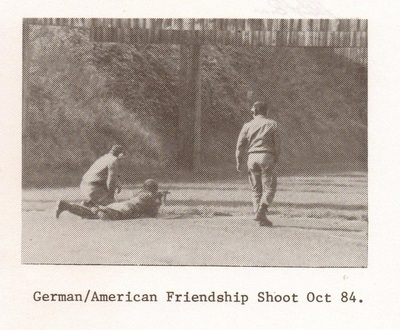 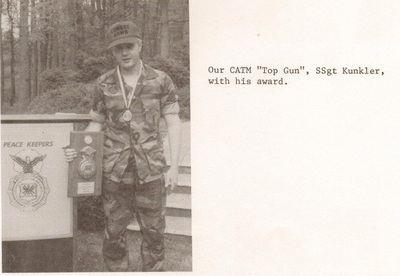 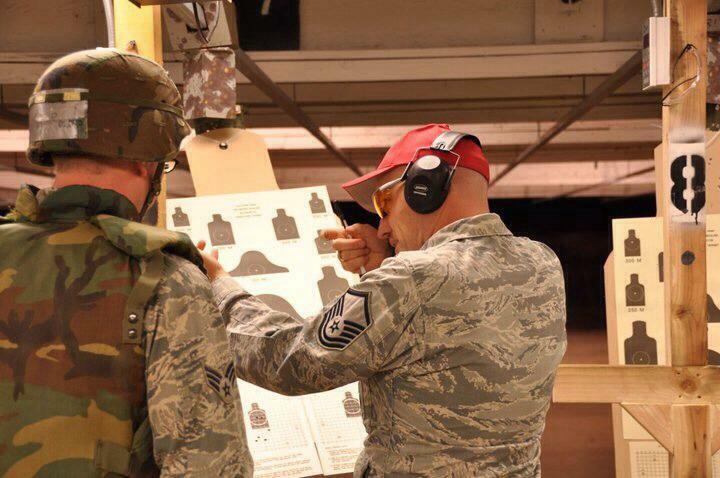 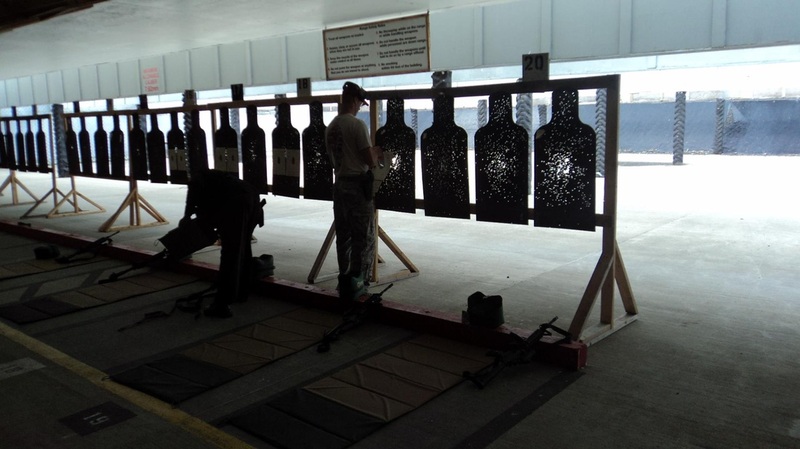 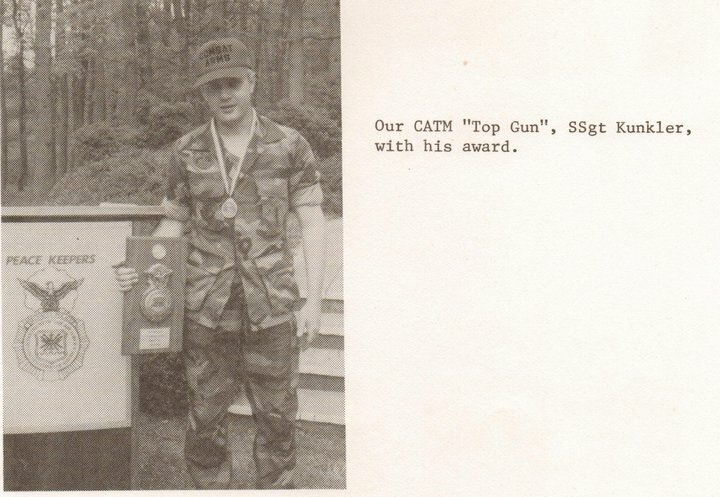 The marksmanship program was designed by Colonel Tom Kelly and initially under the direction of Colonel Peter Agnell. The original cadre attended the Army's advanced rifle marksmanship coaches class at Ft. Benning, GA, from January 26 to February 15, 1958. 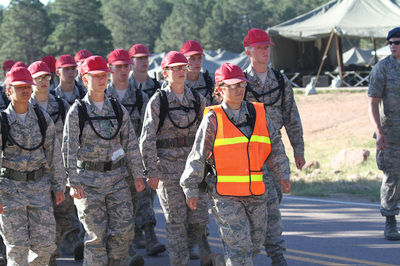 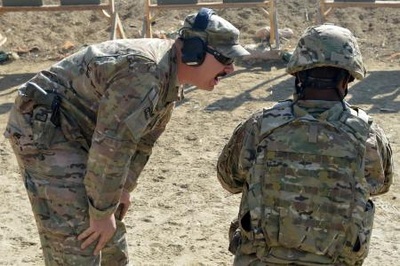 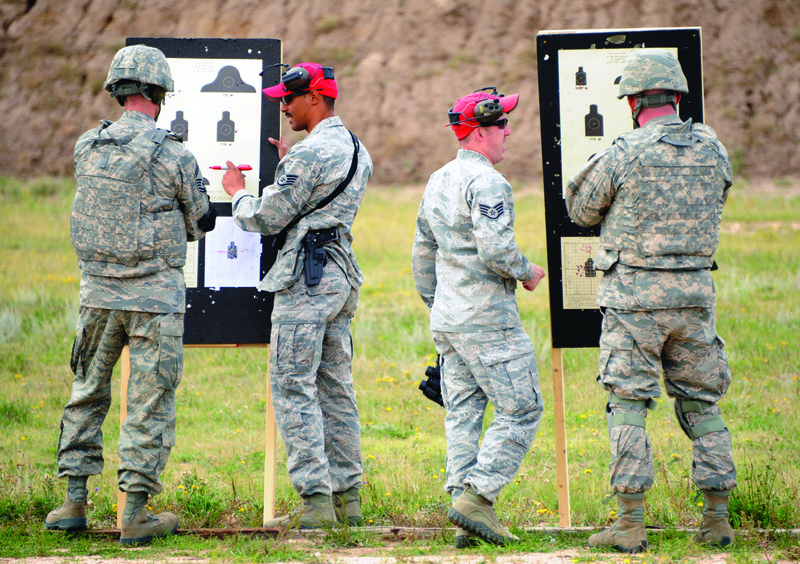 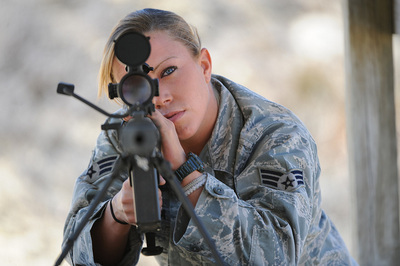 The three-week training course included coaching techniques, range management, and procedures for the preparation of marksmanship training programs. 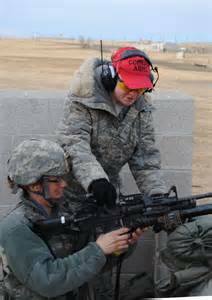 The purpose of the initial cadre was to train Small Arms instructors and gunsmiths for assignment to all Air Force bases. 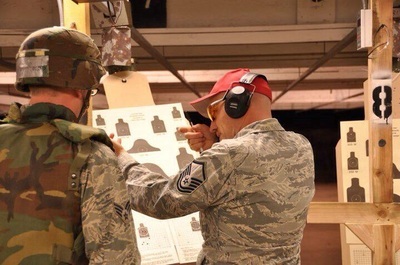 With these personnel as a core for the newly formed USAF Marksmanship Center, bases throughout the world began selecting personnel to be sent to the center for training. 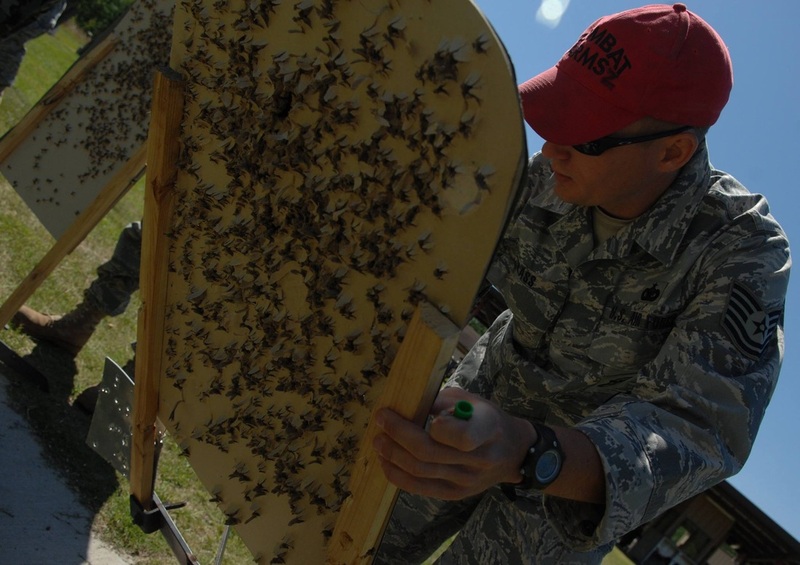 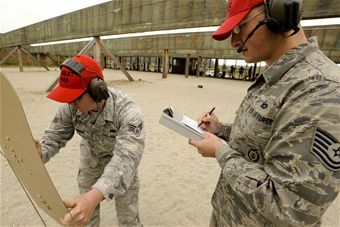 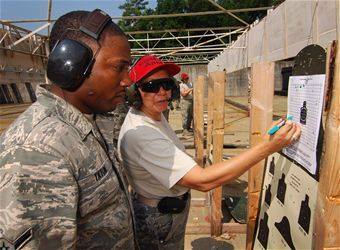 Air Base Defense personnel to improve the overall weapons capability of all Air Force personnel. 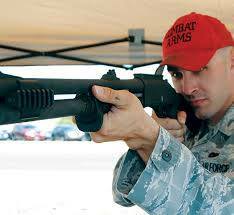 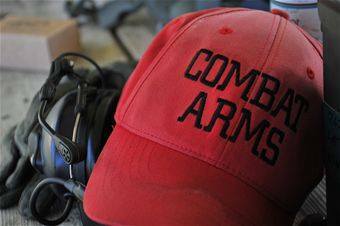 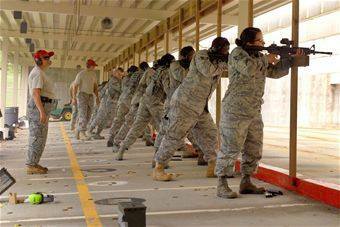 In 1965, the USAF Marksmanship unit's name was formally changed to the Small Arms Marksmanship Training Unit. 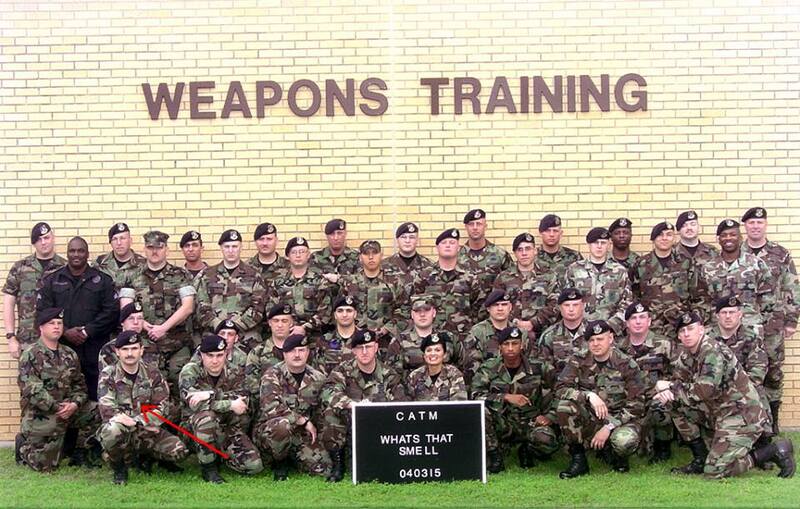 This name change better described the types of weapons the career field was responsible to train. 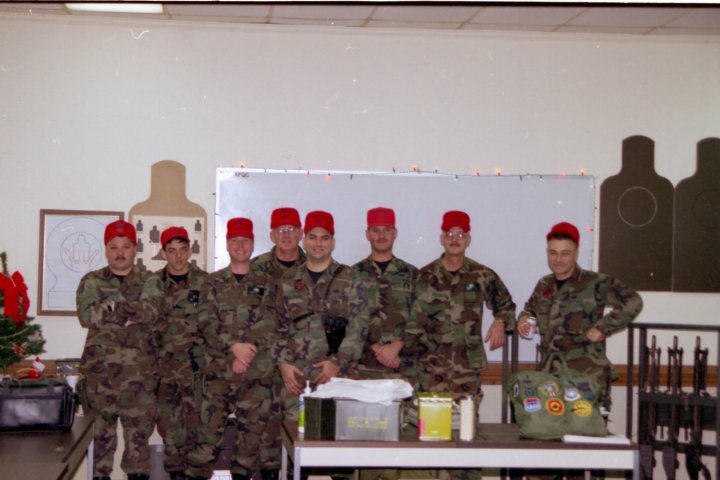 Besides meeting local training objectives and conducting competitive rifle and pistol matches, Small Arms specialists set up and operated specialty courses. 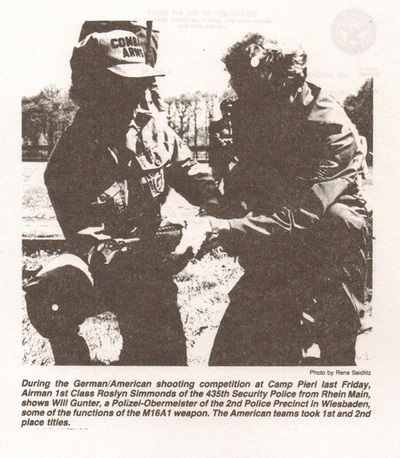 Combat Arms Training and Maintenance became part of the unified Security Forces career field in 1997. In 1982, Combat Arms Training and Maintenance (CATM) was placed under the operational control of Security Police units.